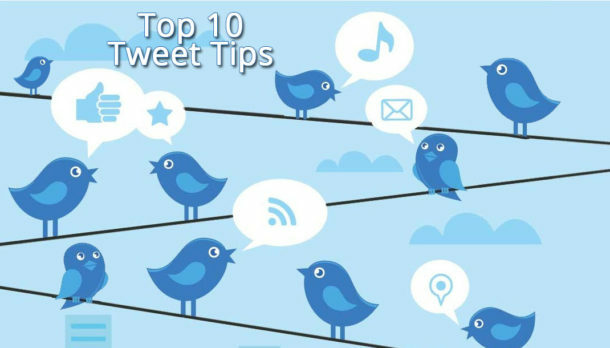 Twitter is an essential component to any social media marketing campaign. The social media platform has over 500 million users. By setting up an account you are exposed to their users, allowing you to expand your network and reach. For example, companies that only have clients in California can use Twitter to reach an audience throughout the world and build a following. This is an ideal strategy when considering expansion. 1. Create your account. Decide if you want to promote yourself, your business or serve as a news source. All three can generate business so make a decision based on your target audience. 3. Upload a picture of yourself to create your avatar. While you can choose a picture of Aunt Sally, your pet fluffy, or a celebrity: a picture of yourself makes the relationships you build online, through social media marketing, feel more personal. 4. Link to your other social media profiles and website. The goal is for people to find you on Twitter and follow those links to the other sites. 5. Select your privacy settings and make sure that your tweets are shared. 6. Stand out by tweeting interesting, relevant and catchy information or ideas. The more entertaining your tweets are, the more likely they are to be re-tweeted (shared) across the platform. 7. Seek out connections. Search for individuals or companies that are in your same field or industry, could add valuable information to your following, and those that you want to do business with. Follow them and hopefully they will return the favor. You can also directly ask people to follow you. 8. Use proper spelling and grammar. 9. Be authoritative. When you are giving information make sure that it is accurate and presented in a way that provides readers with value. 10. Use Twitter to share your blog posts through the web. This will attract more people to your blog and website while helping you grow your following. Tweets can only be 140 characters long. This allows you to send direct and to the point messages through the social media network. People can easily read what you have to say, and if their interest in peaked, follow the link to more information. For example if you wrote a blog on the Top Ten Ways to Decorate for Christmas you could tweet “Easy Christmas Decorating Tips” to draw more traffic to your site. Expand your network quickly by proactively reaching out to people. Do not be afraid to ask for connections. This can be time consuming so dedicate an internal employee to manage your social media or hire a professional to help you with it. Social media marketing is extremely effective in building a fan base, expanding your reach and exposure and building a brand. It takes diligence but fans and followers captured through social media are people that are interested in your and what you have to say. They are there because they want to be and will be more loyal than consumers exposed to your brand through traditional media.